Fabula tells a wonderful tale, which begins with the discovery of five extremely precious kinds of wood and continues with their faithful reproduction. 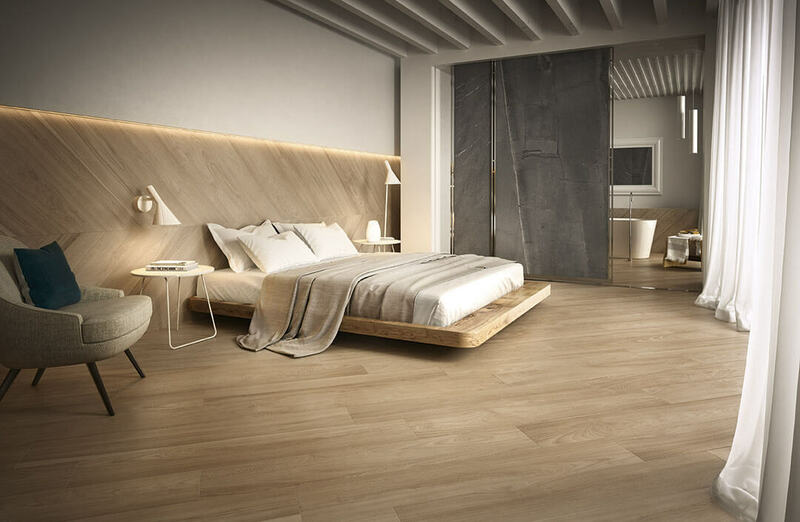 The result is a collection of natural wood effect porcelain stoneware that makes your dreams come true. Ideal for instilling warmth and natural elegance to the most diverse architectural contexts. 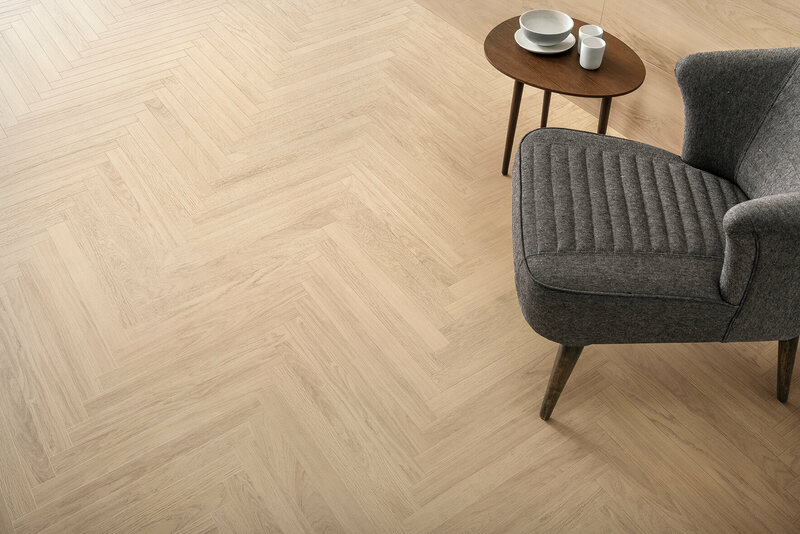 With stave sizes, 30×120 and 20×120, a Chevron 20×100 pattern and a slat size 5.7×60, Fabula adapts to any natural wood effect floor and wall covering project in residential and commercial environments. Each of the five tones respects the distinctive features – knots, veins, shades – of the reference wood. 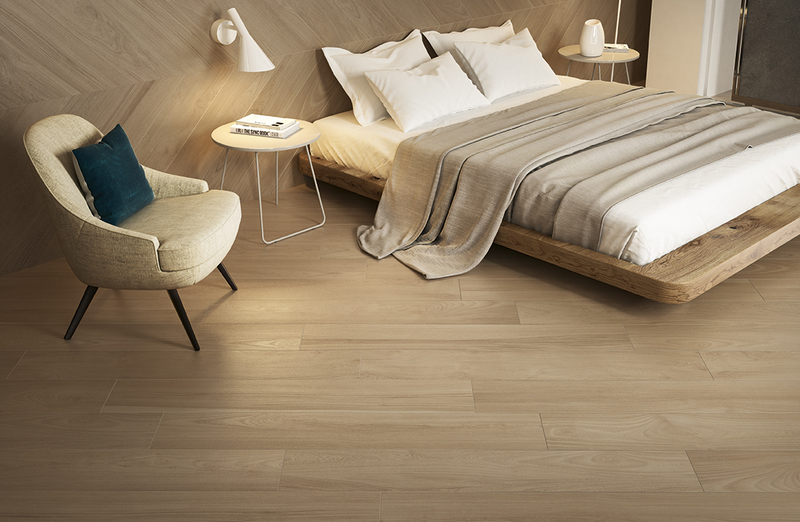 Robur: luminous shades and delicate changes in tone: Robur reproduces on porcelain stoneware all the astonishing authenticity of the most prestigious oak, a choice that is particularly recommended for spaces with a spontaneous elegance. 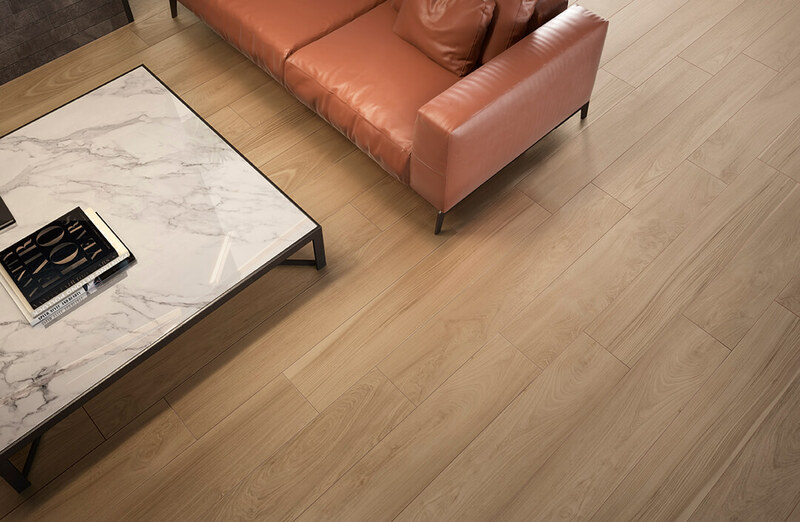 Theca: a porcelain stoneware solution that draws its inspiration from the bewitching personality of Teak, one of the most prestigious types of exotic wood. Theca boasts warm and welcoming tones. It attracts and enthrals by virtue of a simple and sincere natural appeal. 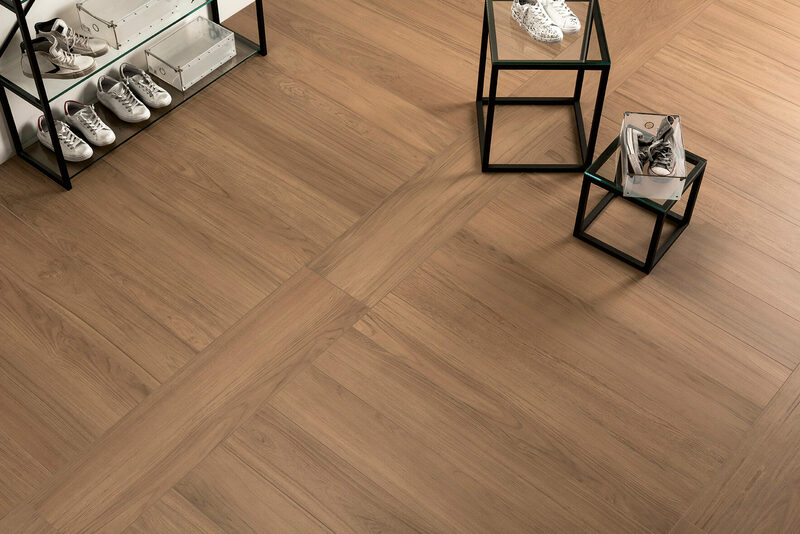 Ulmus: Ulmus conveys, by means of porcelain stoneware, the beauty of elm, one of the most renowned kinds of European wood. A multifaceted solution, which has become unique thanks to an extensive symphony of knots and stripes, to transmit a feeling of warm and romantic elegance. 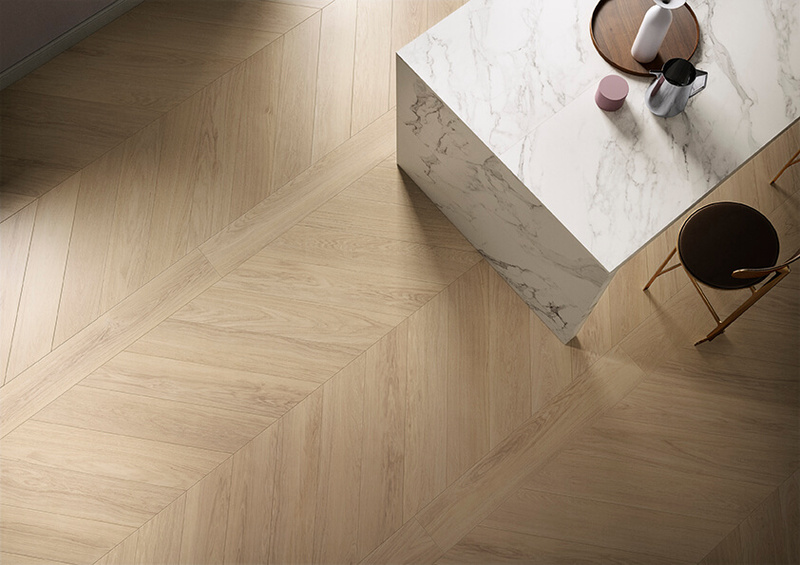 Nucis: nuances, veins and intense changes in tone form extraordinary patterns on the surface. 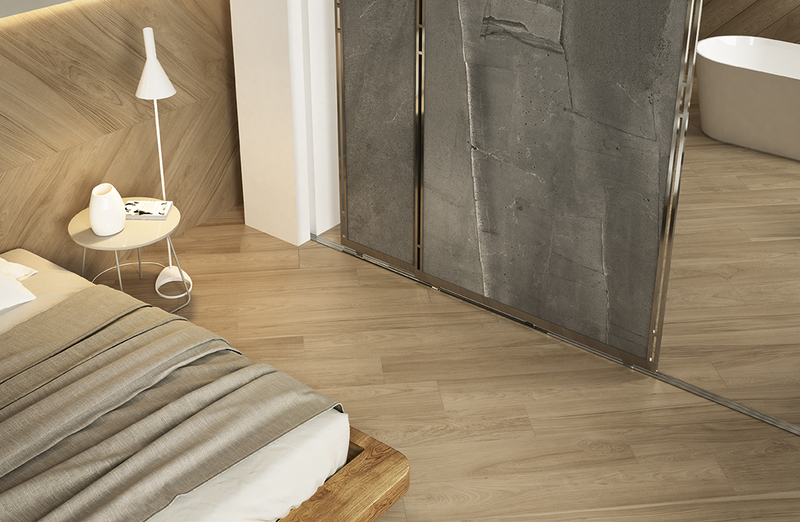 With Nucis, porcelain stoneware dons the discreet splendour of the noblest walnut. Fabalis: material with dark and alluring tones, a perfect synthesis of authenticity and refinement, just like Wengé, the wood that inspires it. 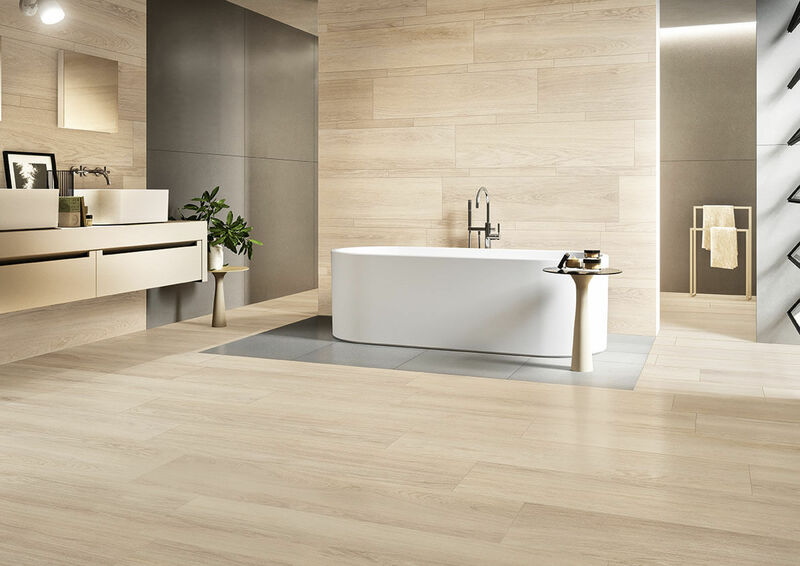 Fabalis is ideal for creating intense and enchanting environments with the added advantage of the resistance and soundness that is typical or porcelain stoneware. The range is completed by Jungle and Forest: two innovative decorations that interact with the natural appearance of wood by means of colours and the unique strength of the mosaic effect.